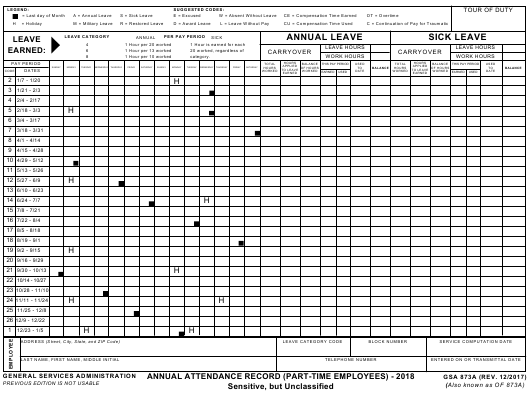 GSA form 873A or the "Annual Attendance Record (part-time Employees)" is a form issued by the General Services Administration. The form was last revised in December 1, 2017 and is available for digital filing. Download an up-to-date fillable GSA Form 873A in PDF-format down below or look it up on the General Services Administration Forms website.